Grill la hügel. 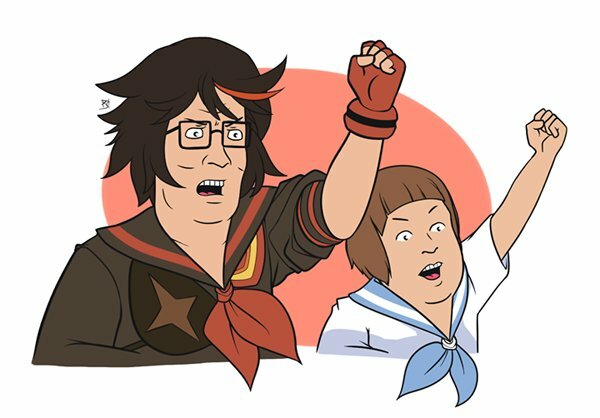 a "King of the Hill" parody of "Kill la Kill". (. Wallpaper and background images in the King of the hügel club tagged: photo king of the hill anime kill la kill. This King of the hügel fan art contains anime, comic, manga, cartoon, comic buch, karikatur, and comics.